The classes 3C and 3D spent their language project week from the 20th to 27th of September in Oxford. 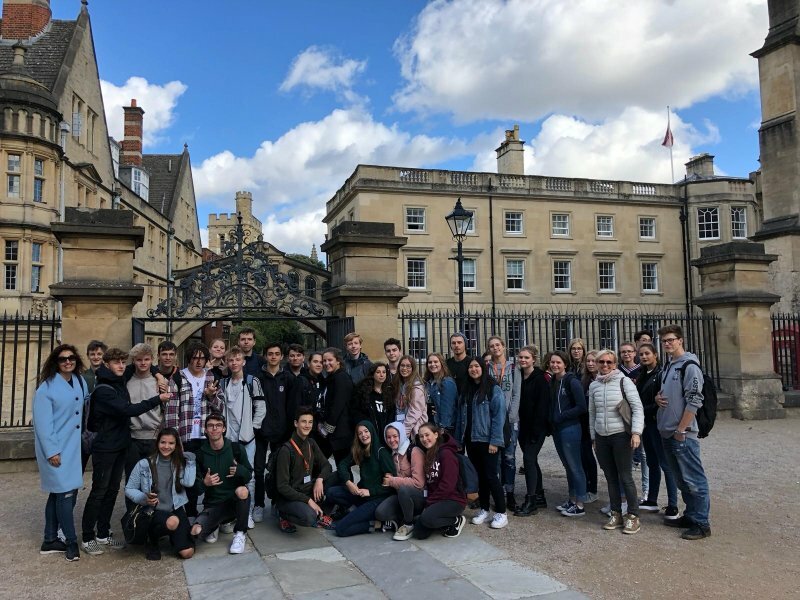 We attended the CES School of Oxford, that´s an English language-school, we had some exciting excursions to the center of Oxford and visited quite many of the sights and colleges there. Last year we made presentations about most of them, so we knew them quite well. At the weekend we made daytrips to Stonehenge, Bath and London. In Stonehenge and Bath we listened to interesting facts about the famous stone circle and the Roman baths on our audio guides on Saturday. The next day we spent on a sightseeing cruise boat on the river Thames in London. The cliché of the weather in England was proven, it was rainy all day long but Sunday afternoon was very sunny. All our hosts were very nice and supportive. So it was a wonderful trip there, which we’d love to repeat someday.